Lexogen, a transcriptomics and next generation sequencing company, has announced the start of its RNA-Seq service, which focuses on gene expression profiling using Lexogen’s proprietary QuantSeq technology. Lexogen’s QuantSeq 3′ mRNA-Seq Library Prep Kit has already been recognized as one of the fastest, most cost-efficient, and accurate methods for expression profiling using next generation sequencing. Analysis of QuantSeq data is based on counting of the transcripts and is therefore straightforward and robust. 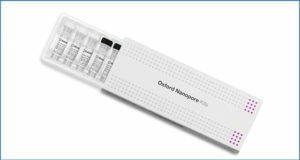 The proprietary QuantSeq protocol focuses on capture of the 3′ end of mRNAs, which is very tolerant towards lower amount and integrity of the RNA input, therefore RNA extracted from clinical materials and FFPE-samples can also be submitted for accurate gene expression profiling. The low read depth necessary for gene expression profiling by QuantSeq allows for a high degree of multiplexing and automation of the library preparation procedure accommodates projects with higher sample throughput. This makes QuantSeq the most preferable alternative to microarrays for gene expression profiling. 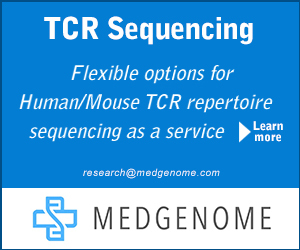 The all-inclusive service costs EUR 248 per sample, includes library preparation from submitted RNA, lane-mixing, sequencing and all required quality controls for processing 48 samples concurrently. Data analysis down to differential gene expression is included in the report, with further analyses available on request. Project management by the inventor of QuantSeq ensures support by experts in the field.